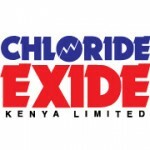 Chloride Exide Kenya Limited has a countrywide network of 11 branches in Kenya. Chloride Exide has grown from a single based operation to being the largest battery and renewable energy distributor in the East African region while enjoying considerable presence in the PTA trading block. Of particular pride is our strong brand supported by a region wide network of over 17 branches and over 400 dealers in the region. Motive power batteries and standby batteries. KenyaCompanies.com is East Africa’s largest B2B e-market place to conduct e-business. We focus on providing a platform with useful trade information to SME’s and large enterprises.